The other night I sat down in the living room with my freshly brewed sweet tea, tv ready for the greatest episode ever of Real Housewives of New Jersey, un-crustable slowly defrosting in the kitchen and a crate full of fun nail polishes. I could of sworn I was in the mood for red nails with a pop of teal on one or two fingers but then I really took a look at all of the colors in the crate. It’s like they were talking to me. Pick me, NO ME, wait you have not used me in a while. I started getting anxiety because I was questioning what colors I should use. Now, I know what you are thinking. I am crazy, and yes I am! 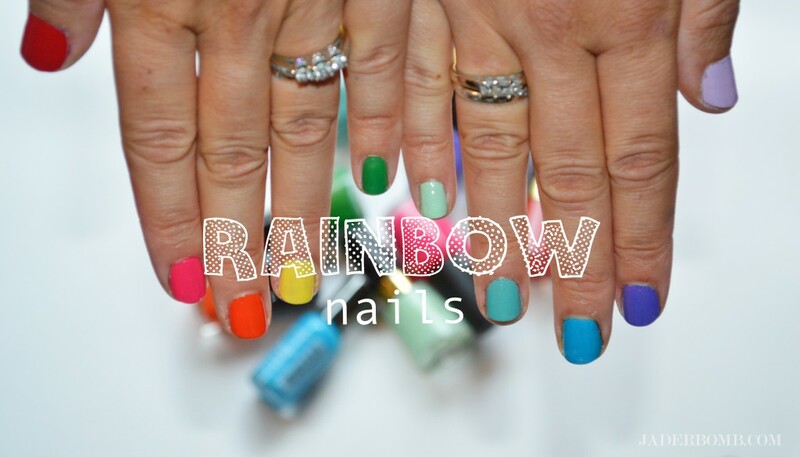 Finally I decided to paint rainbow nails! I mean I got a little dose of every color, right! 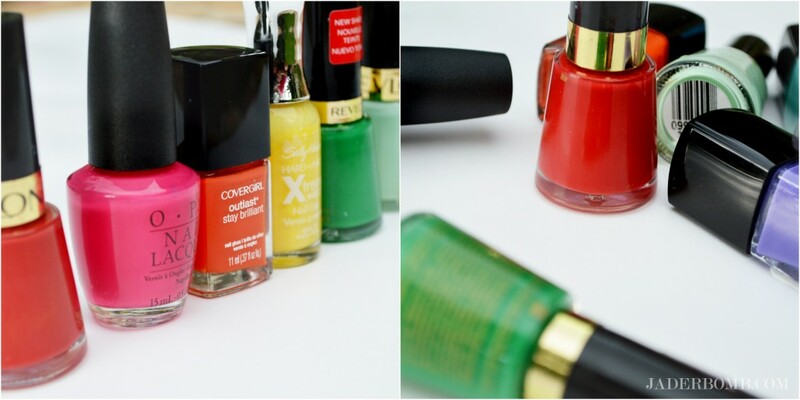 What is your favorite colors to paint your nails? I used the good ole ROY-G-BIV for the colors. I wanted to share with you the colors I used. Enjoy! You can click on the links for the nail polishes and purchase any that you need! These are all affiliate links which mean you help me buy more eggs and bacon when you shop on the site! Love you all from my glittered floors to yours!